Hmmmm....... remember these? Sundance is selling them in 1 3/4" for $58. 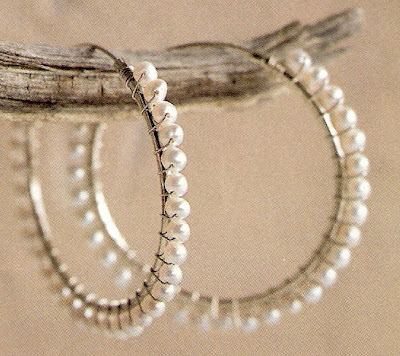 "A lustrous take on the classic, our sterling silver hoops are lined in lovely white pearls."